The famous Brian’s Coffee Spot Awards! Happy New Year to all my followers old and new! As we get 2019 underway, here are the winners of the seventh annual Brian’s Coffee Spot Awards. As before, there are 20 Awards, celebrating all the wonderful Coffee Spots I wrote about during 2018. The shortlists for all 20 Awards were announced between Boxing Day and New Year’s Eve and now we have the winners! Before we go on, I know I’ve said this before, but a big thank you to everyone who’s visited the Coffee Spot, followed me on Twitter, liked my Facebook page and looked at my pictures on Instagram. While I do this for the love of coffee, it means a lot to me that so many of you take the time to read and comment on my writing. Without you, it really would be pointless. So, here it is, the final Coffee Spot Awards Shortlist for 2018, the only one that you, my readers, decide. 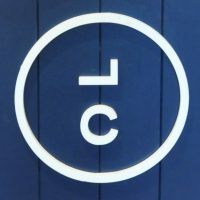 It’s the “Most Popular Coffee Spot” Award, which is based on the total number of views received by each Coffee Spot in 2018. 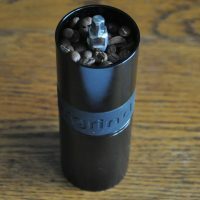 Last year this was won by Made by Knock: Aergrind with 2,124 views. This year just one Coffee Spot broke the 1,000 views mark. Of the 15 most viewed, 12 are Coffee Spots (11 from the UK), while the remaining three are Saturday Supplements. 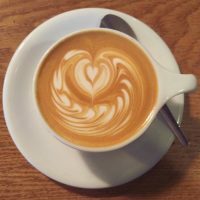 Welcome to the penultimate Coffee Spot Awards Shortlist for 2018, the Brian’s Coffee Spot Special Award, which was won last year by Forte Espresso Bar. This is a special award for those Coffee Spots which don’t quite fit into the other categories, but which nonetheless I absolutely love… It’s also a chance for me to recognise and reward those wonderful Coffee Spots that I come across during the year and which mean something special to me. 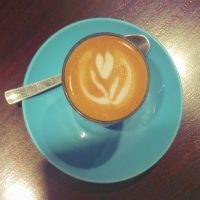 Welcome to the next Coffee Spot Awards Shortlist for 2018, the “Most Passionate About Coffee” Award, which was won in 2017 by Coffee + Beer. For me, this is one of the most important awards, and also one of the hardest to judge, which is why I’ve left it to the last day. It’s not just about the coffee, it’s also about people who love and care about coffee. Everyone who I’ve covered in the Coffee Spot is passionate about coffee and one of the great things is how much love there is out there, both for the coffee and for those who make it. However, those shortlisted for this award stand out from the crowd. We enter the final day of the 2018 Coffee Spot Awards shortlists with the “Best Breakfast” Award, which in 2017 went to Homeground Coffee + Kitchen. Along with cake, breakfast has a special place in my heart. The only slight snag is that I rarely get up and out of the house early enough to get to places before they stop serving breakfast! I present the final shortlist of the day, which is for another of my favourite Coffee Spot Awards, that of “Coffee Spot with the Happiest Staff”. Last year it was won by Westmoreland Speciality Coffee. In my opinion, staff are probably the most over-looked part of any Coffee Spot. Good staff can make a place and bad staff, no matter how great the coffee and wonderful the location, can kill a place. Everywhere that features in the Coffee Spot has great staff, but these were exceptional, with some infectiously happy staff. However, this award isn’t just for happy staff; it’s for any staff who go that extra mile to make their coffee shop a special place. 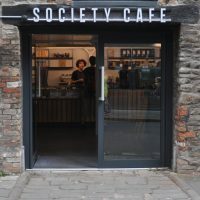 Next up today, the 2018 Coffee Spot Award shortlist for “Best Physical Space”, which was won last year by Society Café, Bristol. One of the most important things for me is how a Coffee Spot looks and feels. This, to me, is just as important as the coffee. This award celebrates those Coffee Spots in which there’s a pure joy in just sitting there, soaking it all in. It’s not just about physical beauty and elegance. Instead, it’s as much about atmosphere, layout and overall feel. It’s another where I could have made two or three different shortlists, all with worthy winners. However, I have managed to whittle it down to just a single list for this year’s Award. 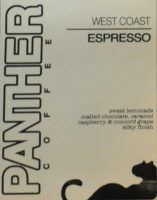 Next up in the 2018 Coffee Spot Awards with the shortlist for the “Best Overseas Coffee Spot”, which was won in 2017 by Panther Coffee, Wynwood. The Award celebrates all those wonderful Coffee Spots that I’ve visited outside of the UK, although this year will be its last. When I set up the Award in 2013, I made two or three trips a year outside of the UK. In 2018, I spent less than half my time in the UK, which was reflected in my posts this year, with fewer than half of the Coffee Spots coming from this country. 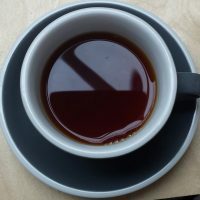 As a result, many of this year’s shortlists are full of non-UK entries, with the Best Roaster/Retailer Award (for example) having just two UK Coffee Spots in the shortlist. I therefore think that it’s time to retire this Award: Overseas Coffee Spots don’t need a special award category of their own any more. If you want to read more of my travel exploits, check out Brian’s Travel Spot. 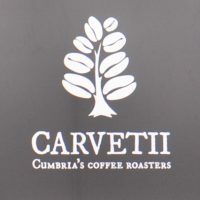 Next up is the 2018 Coffee Spot Award shortlist for “Best Roaster/Retailer”, which was won last year by Carvetii Coffee Roasters. Initially, this award was only open to retailers, but in 2014, I expanded it to include roasters, who now dominate the award. Contenders have either appeared in the Meet the Roaster series or they are cafe/roasters who I have visited during the year. 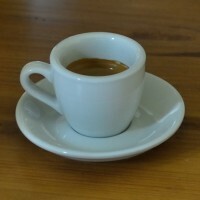 Although the Coffee Spot is mostly about places to have coffee, I still drink the majority of my coffee at home (actually, with the amount of travelling I now do, I’m not so sure this is true…), so those wonderful people who provide me with my coffee beans need a mention. The problem, as with all these awards, is knowing where to draw the line for the shortlist. I’ve visited lots of coffee shops/roasters this year, but I’ve made a decision, by-and-large, to stick to either roasters I’ve written about as roasters or coffee shops where the beans are roasted on site. Welcome to what was meant to be the final 2018 Coffee Spot Awards shortlist of yesterday. Instead it’s today’s first shortlist (delayed by the huge shortlists for the Best Espresso and Smallest Coffee Spot Awards). It’s the “Best Cake” Award, won in 2017 by Coffee Lab, Salisbury. Despite what it says on the tag line, the Coffee Spot’s not all about the coffee. After all, what would a cup of coffee be without a decent slice of cake to go with it? So, cake plays a major part in the Coffee Spot and this Award celebrates the Coffee Spots which excel in the cake department. This is another of my favourite Awards and while I didn’t visit that many dedicated cake spots, I was nonetheless treated to some absolutely fantastic cake along the way, proving that, like good coffee, the more you look, the more good cake you find.